Good bacteria are essential for many bodily functions, including healthy digestion. However, common issues such as diet, travel and stress can disrupt the natural balance of bacteria in your digestive system. Align is a daily probiotic supplement that fortifies your gut with good bacteria to help you maintain digestive balance. * Align contains the patented probiotic strain Bifidobacterium 35624 and is the #1 doctor and gastroenterologist recommended probiotic brand. <br /> <br />*THESE STATEMENTS HAVE NOT BEEN EVALUATED BY THE FOOD AND DRUG ADMINISTRATION. THIS PRODUCT IS NOT INTENDED TO DIAGNOSE, TREAT, CURE, OR PREVENT ANY DISEASE. <br /> <br />Among doctors and gastroenterologists that recommended a brand of probiotic in a QuintilesIMS 2017 survey. Good bacteria are essential for many bodily functions, including healthy digestion. However, common issues such as diet, travel and stress can disrupt the natural balance of bacteria in your digestive system. Align is a daily probiotic supplement that fortifies your gut with good bacteria to help you maintain digestive balance. * Align contains the patented probiotic strain Bifidobacterium 35624 and is the #1 doctor and gastroenterologist recommended probiotic brand. Among doctors and gastroenterologists that recommended a brand of probiotic in a QuintilesIMS 2017 survey. Ingredients: Bifidobacterium Infants 35624 (Bifantis; 4Mg). Other Ingredients: Microcrystalline Cellulose (For Even Dispersal of Cultures), Hypromellose (Vegetarian Capsule Shell), Sugar, Magnesium Stearate (For Even Dispersal of Cultures), Milk Protein*, Titanium Dioxide, Sodium Citrate Dihydrate, Propyl Gallate (Anti-Oxidant Stabilizer), Fd&C Blue #2, Fd&C Blue #1, Riboflavin (Colorant). *This Product Does Not Contain Lactose, Soy Or Gluten. Instructions: WARNINGS: Parental supervision is recommended for use of Align by children. We recommend that you keep Align out of the reach of children. TAMPER EVIDENT: Carton sealed for your protection. Do not use if capsule blister unit is open or torn. I love this product! However I recently bought a box and opened it to find coupons, something that is never in there. I was very happy until I looked at the coupons and all of them expired in 2018. The expiration date on the box was 2019. I wish they would use the dates on the coupons that coincide with the product expiration date. Don't get people excited for nothing. My doctor recommended Align to me for stomach issues. 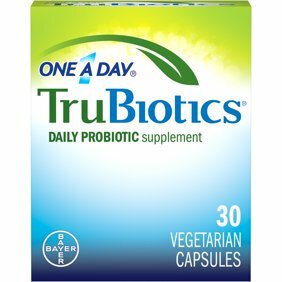 I've taken them for a long time and they have helped me be able to eat foods that normally I couldn't. They are a little pricey but for me they help in so many ways. After antibiotic treatment the digestive system was out of whack. Within 3 days there was a 100% improvement. Would highly recommend as a first try to get the digestive system back in order. The purchase was made for my sister, whose gastroenterologist wanted her to take a probiotic daily and he specifically named Align. Seems to do the job it is intended to do and the price at Sam's Club is the best around! My wife has digestive issues due to many surgeries over the years. She gets serious infections due to this and has to take strong antibiotics. Had a nurse recommend that she start taking probiotics after one of her emergency room trips. After much research we decided to try Align. After about 6 weeks she started having less trouble. Her condition has improved greatly after several months of daily use. Wish Sam's Club could negotiate a better price. They aren't any cheaper than many other places.